The latest version of the Creative Commons (CC) licensing suite was launched at the end of November 2013. The new licenses include important provisions for strengthening access, and for the sharing and use of scientific, intellectual and cultural content in a globalized world, by bringing together different copyright legislation currently in existence. This latest version makes the task of sharing and using creative work easier and more secure, since it makes the attribution requirements clearer and more accommodating by supporting issues that have become more relevant in ensuring access and sharing content within a dynamic and increasingly international context. Check out the release of Creative Commons 4.0 and understand for yourself the importance of Creative Commons licenses for Open Access. Creative Commons version 4.0, the latest version of the Creative Commons license suite, was launched at the end of November 2013, after two years of development and public consultation. To understand the importance of Creative Commons licenses we only have to recall the restrictions that copyright places on the circulation and sharing of scientific, creative and intellectual content in the context of an inherently free flowing environment – the Web. 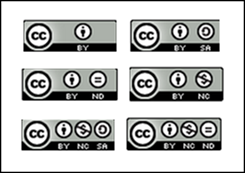 The Creative Commons project changes this restrictive framework by developing CC licenses of access attributions to digital content as instruments which allow for the standardization and simplification of the lawful sharing of scientific content and other creative and cultural works, and essential to the implementation of Open Access. Then there is its tremendous and innovative importance in providing legal channels and a simplified way for the public to share and use the creative work it produces, choosing for itself how it wants to do this, by modifying the terms relating to copyright to better respond to its particular requirements. The CC licenses allow the terms governing copyright to be qualified in relation to access and use from the default “all rights reserved” to that of “some rights reserved”. In this way, it is seen as a complementary instrument to “copyright”, by indicating what is permissible and not permissible for a licensed work in terms of open modification, distribution, sharing and replication of its content. The not-for-profit organization known as Creative Commons was set up in 2001, with Lawrence Lessig as one of its founders. Lessig is a Professor in the Faculty of Law at Harvard and one of the staunchest defenders of Free Culture. His book “Remix”, published in 2008, discusses the social effects – in production and consumption – of the free distribution of cultural assets, of the production of derived works and of the concept of “fair use” over the Internet. And, true to the principles he advocates, “Remix” is available as a free download under one of the Creative Common’s licenses. Since 2001, the official launch date of the project, different types of attributions and versions of Creative Commons licenses¹ have been developed. Originally, these took account of the North American legal model for copyright, and from Version 3.0 onwards the Creative Commons licenses also began to look at international legislation relating to copyright which was based on the Rome and Berne Conventions. This allowed greater integration of the licenses with the different laws of the countries signing up to these conventions. However, the variety of legislation which had evolved and the growing interdisciplinarity and internationalization of knowledge brought about the emergence of new requirements for the licensing of content, since a work that is licensed in accordance with the copyright law of one particular country could run into restrictions regarding its access and sharing in the legislation of another country. Globalization, increased cooperation and international partnerships have turned such a scenario into a legislative chaos difficult to reconcile and uncertain legally speaking. This has led to a process of intense discussion and improvement which, at the end of a two year period, resulted in the new version 4.0 Creative Commons licensing suite, recently launched and more consistent both globally and legally speaking. The CC license 3.0 was upgraded and adapted to the local laws appertaining to more than 35 legal systems, and this resulted in the latest version 4.0, which has been designed to function within the legislation of all countries without the requirement for local adjustments, thereby alleviating the uncertainty brought about by the multiplicity of licenses in different judicial territories. – New provisions concerning moral rights of licensed contents , because now it is required that users indicate if the licensed material was modified, with or without adaptations, pointing to the original content. So, this will ensure the provenance and authorship of altered data which is important in the scientific context, and which will allow the original owner of the rights to opt for the removal of an attribution in any work derived from the original owner’s work, modified or not. – The new version is also extremely well adapted for use by governments and editors of information in the public sector, particularly within the European Union. Science itself depends upon it being visible and accessible, this being widely facilitated and achieved thanks to digital technologies and tools based on the Internet, fostering a profound change in the processes and activities of science, including intensifying the sharing of data and information, and stimulating discussions and engaging a wider public that wants to use and re-use existing content, manipulate it, analyze it, and create new content and more knowledge from it. But beyond the technological facilities, none of this is possible without legal instruments that guarantee the free and unfettered flow of this content, and the Creative Commons licenses meet this important and indispensable role. 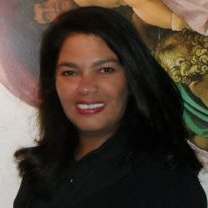 Collaborator on the SciELO program, post-graduate in Information Science from the School of Communication and the Arts of the University of São Paulo (PPGCI-ECA-USP), specialist in Health Sciences information at the Federal University of São Paulo in partnership with the Latin American Center for Health Sciences Information (UNIFESP-BIREME-PAHO-WHO), Sibele Fausto is a librarian in the Technical Department of the Integrated Library System of the University of São Paulo (DT-SIBi-USP). Translated from the original in Portuguese by Nicholas Cop Consulting.